As you drive north up the golden California coast and leave Los Angeles behind, you enter a different kind of state. Stress melts away, the waves crash to your left, and before you know it, you're in San Luis Obispo. 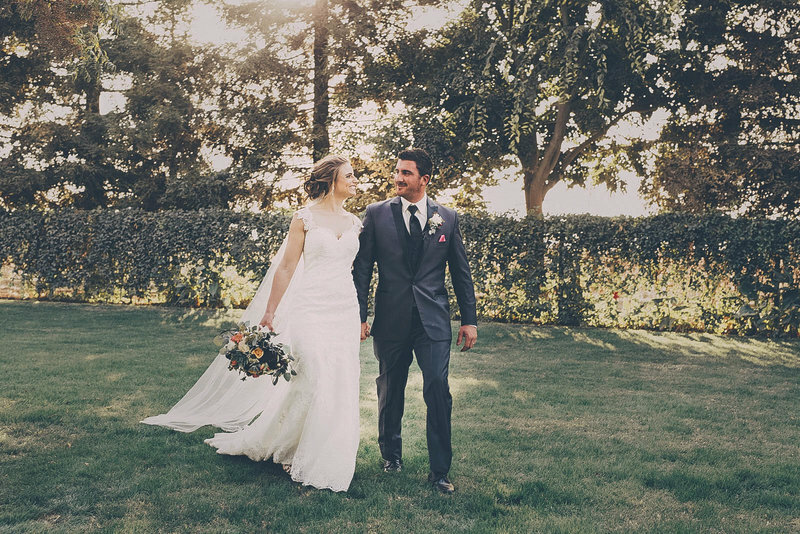 Nestled amongst nine small volcanic peaks, San Luis Obispo, or SLO as the locals call it, has a little bit of everything California, making it the perfect spot for your perfect day. DC Events and Design has the local know-how and the expertise to make your San Luis Obispo wedding the best it can be. We offer the best wedding photography and wedding videography in the area. 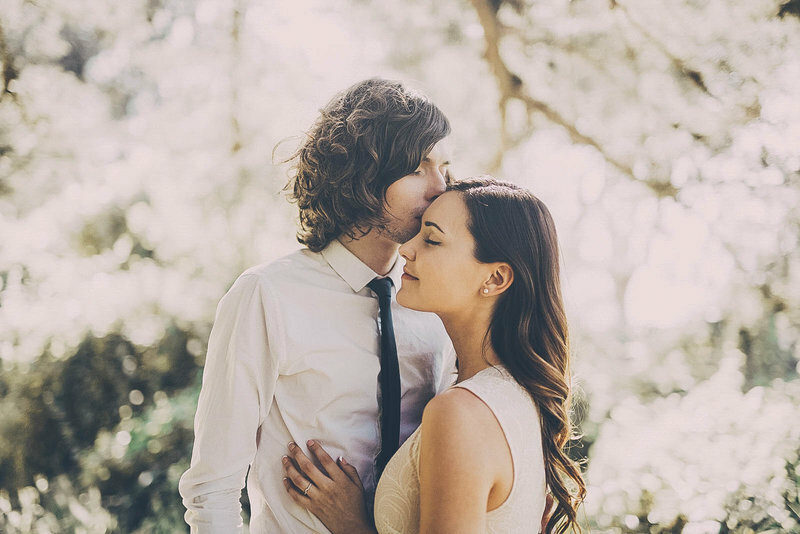 Read on to discover why you should plan your wedding in San Luis Obispo. The first thing you'll notice as you arrive in San Luis Obispo is the rugged terrain. The town is bordered on all sides by mountain ridges and hills. The sharp Cuesta Ridge lies to the northeast, the Irish Hills along the southwest, and to the northwest you'll see the dramatic Bishop Peak. The town itself huddles around the impressive Cerro San Luis, the dormant volcano from which the town takes its name. In between these beautiful peaks, you'll find rows of rolling vineyards. There are over two dozen local wineries. Most of them are located south of town and offer diverse and award winning vintages that you are, of course, welcome to taste. While many see SLO as just another California college town, it actually is home to a significant history that spans over 200 years. It was first settled in 1772 by Spanish Franciscans led by Junipero Serra. The Mission San Luis Obispo de Tolosa is still in operation. It holds visiting hours ever day. Dozens of historic buildings line the downtown area that centers around Monterey St. The Carnegie Library was built in 1905 with a grant from none other than railroad tycoon Andrew Carnegie. It is built in the Romanesque style, as many early 20th century California buildings are, and was designed by W. H. Some of these ancient buildings through SLO defined neo-classical architecture in the bay area around the turn of the century. With the construction of the nearby Pacific Coast Railway, many Chinese laborers settled in SLO after their work was done. If you look hard enough, you'll be able to see some evidence of the Chinatown that centered around Palm and Chorro St. The restaurant Mee Heng Low is home to some excellent chop suey. No one will have to look far in San Luis Obispo for fun or recreation before or after your wedding. Check out the Carnegie Library, now home to the town's museum to get to know the SLO of the past. For the more outdoors oriented, trails for hiking and mountain biking line the neighboring hills. Montana de Oro State Park lies just ten miles west of town. Named by the L.A. Times as one of California's best kept secrets a few years back, the park is home to a network of trails that line the ocean bluffs. You can access these on foot, bike, and even horse. Down by the ocean, you'll find a rocky cove replete with caves and tidal marine life. Further down is a beautiful sandy beach. Choose San Luis Obispo for your wedding, and you'll never think twice about it. DC Events and Design will help to make it beyond amazing.